Joel Lindsay, with Ameresco Candlewood Solar, led the state Siting Council on a 2017 walking tour of the area proposed for a solar array on Candlewood Mountain in New Milford. NEW MILFORD — The town is again trying to stop a controversial solar project on Candlewood Mountain, this time by asking the state Department of Energy and Environmental Protection to use a stricter permitting process. Town officials have filed a petition with DEEP, asking Commissioner-designate Katie Dykes to require Candlewood Solar to apply for an individual permit instead of the general permit being reviewed now for the stormwater management plan. “The Town of New Milford filed this petition out of grave concern for the potential negative impact this solar power project could have on a sensitive area of Candlewood Mountain and on the town’s environment and its citizens broadly,” New Milford Mayor Pete Bass said in a news release. The Connecticut Siting Council approved the project in December 2017. The 60,000 solar panels would be owned and operated by Ameresco Inc., an energy company based in Framingham, Mass. The panels are expected to generate 20 megawatts of power. In the petition and letters sent to DEEP, the town and several environmental groups argue the special or individual permit is needed because the project would remove 54 acres of dense core forest, which increases the project’s effect on the land and waters there. 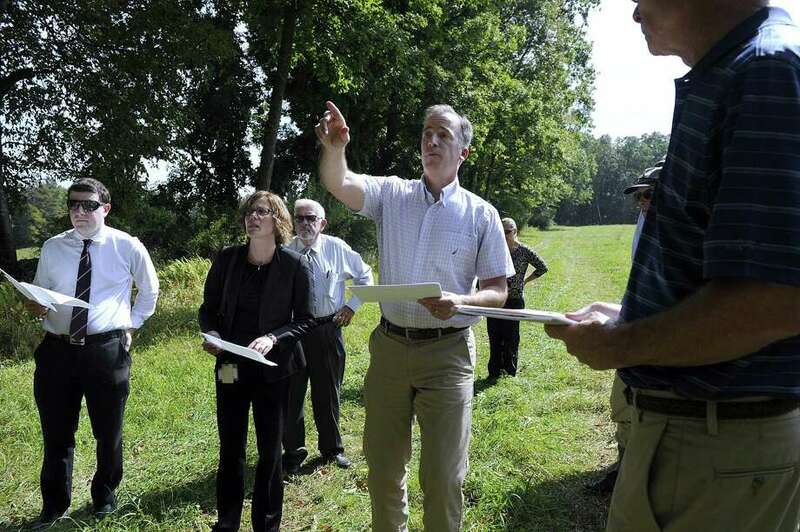 “This project requires and deserves a higher level of public scrutiny than that afforded by the general permit process since it will have such widespread, adverse impacts on public resources, including potential impacts to the waters of the state due to dramatic changes in the land cover from the extensive clearing,” Paul Elconin, director of land conservation for the Weantinoge Heritage Land Trust, wrote to DEEP. DEEP Spokesman Chris Collibee said the department is reviewing the petition and will give it proper consideration on how best to proceed. The project has been controversial among residents and environmental groups because it will clear-cut about 80 acres of forest on Candlewood Mountain, which is a rural area and used for hiking. It also is a habitat for a variety of species and is near an airport. Pilots worry the potential glare from the panels could be dangerous. Advocates of the project say the clean energy is needed and it would generate revenue for the town. The crux of the dilemma is green energy vs. preserving green spaces, which is a statewide issue. This led the General Assembly to pass a law requiring the Siting Council to factor the issue into its deberation process, but the application was filed a few days before the law took effect in 2017 and so the project is exempt. New Milford has already opposed the project before the Siting Council and several groups and people are appealing its approval in state Superior Court. The town has removed the tax incentives for the project, which were approved by the previous administration. The town is asking to be a party or intervenor for the permit. The stormwater management plan is the final hurdle before the company can begin construction. The Housatonic Valley Association sent a letter of support for the stricter requirements. Abbott adds the current plans would harm the wetlands, especially the vernal pools and habitats for rare species. He said it would cause sediment to enter the river faster. The environmental groups and New Milford are asking the public comment period be extended to 90 days from 15 days. Elconin disputes Candlewood Solar’s claim it will donate 100 acres to a conservation organization. “Currently, there is no written or verbal agreement between any conservation organization and the applicant or the property owner to conserve any portion of the property before, during, or after construction,” he wrote.